In order for a California police officer to pull you over for a possible DUI, he must have probable cause to suspect you are drunk driving. He may observe irregular driving patterns, such as unnecessary weaving and lane straddling. Or you may be stopped at a sobriety check point where the officer may observe physical signs of intoxication, such as the smell of alcohol and difficulty understanding you. If you are stopped under suspicion of drunk driving while on California highways or streets, there are several things that will happen. You will probably be asked to take a preliminary alcohol screening (PAS) test using a breathalyzer or perform a series of field sobriety tests. These tests will be used to determine if your blood alcohol content (BAC) is 0.08% or higher. California drunk driving law says that you will be arrested for DUI if your BAC is at 0.08% or higher. It is important for you to know that if you are 21 years or older, you are not required to take these types of tests. The officer will more than likely not inform you of that right and will ultimately use these test results as a basis for making a DUI arrest. Also know that if you refuse to take a PAS or field sobriety test, you will be arrested, but your license will not be automatically suspended. There is a lot of controversy surrounding PAS and field sobriety testing. The hand-held breathalyzer has been proven to read higher than normal and field sobriety tests appear to resemble coordination tests. Unfortunately, the outcome of both tests can be used as evidence against you. If a San Francisco police officer has determined that your BAC is 0.08% or higher, he will place you under arrest for driving under the influence. A Miranda Warning must be read to you at the time of your arrest and pertains to the statements you make, not physical evidence. It is not required for testing and you can decline to answer questions at this point. However, you cannot refuse the chemical testing. When you apply for and maintain a California driver's license, it is implied that you have consented to a breath or blood test following a drunk driving arrest. This is known as "implied consent". 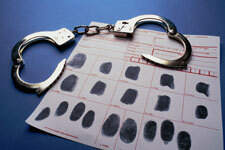 The chemical test you are then required by DUI law to take will be given at a California police station or hospital. You have the right to choose a breath, blood or urine test. It is highly recommended that you take a blood or urine test. DUI attorneys have argued that the breath test, even the one performed at a police station or hospital, has been known to read a BAC at a higher level than the actual level. If you do refuse a chemical test, your license will be automatically suspended with imposed jail time. Your driver's license will be confiscated and you will be issued a temporary 30-day license in the form of a Notice of Suspension, also known as a pink slip. Now that you've been arrested and have been issued a temporary license, you have a right to an administrative DMV hearing, whether your arrest was for drunk driving or refusal to submit to a chemical test. You have the right to be represented by a qualified California drunk driving defense lawyer at this hearing. It is essential that you, or your attorney, contact the California Department of Motor Vehicles within 10 calendar days of your arrest, or a DMV hearing will not be granted. 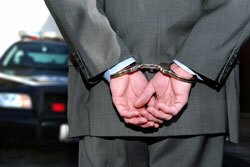 This hearing will give you, as well as the arresting officer, a chance to prove your case. The results will be a license reinstatement (in your favor) or license suspension (in the officer's favor).